But that’s changed in the past couple of decades, and as business in Florida booms so does the number of people who come here for work. Since the sunshine state was a vacation destination to begin with, it’s also the perfect place to blend business and leisure travel — or “bleisure” as the cool kids say. Orlando and Miami are fairly obvious when looking for how to extend your business trip, but if you’re looking for the beaches, food, nightlife, and general laid-back excitement that make Florida so fun, Tampa might be the best place in the state to add an extra day onto your trip. Read on for how to make the most out of a business trip to Tampa, from where to take your work appointments to the spots you need to explore on your own. First thing’s first — you’ll need a place to stay. 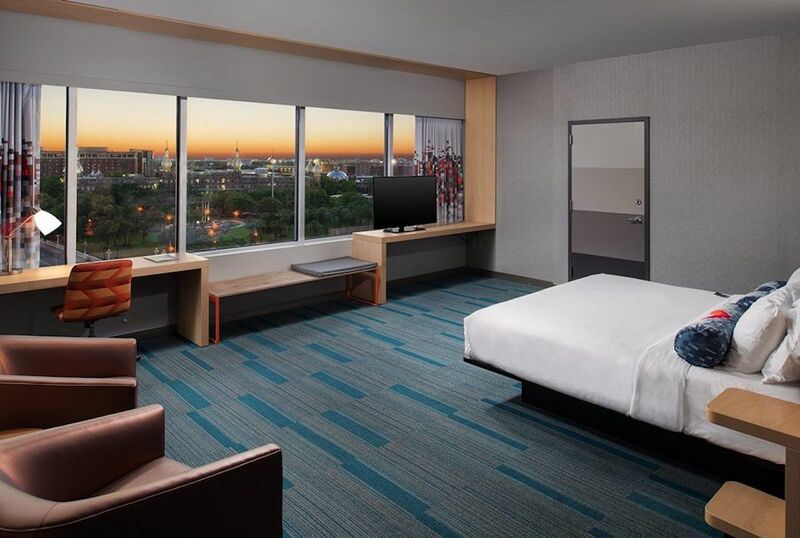 And you can never go wrong with Aloft Tampa Downtown, situated right on the Hillsborough River and walking distance to pretty much anything you’d need downtown. If you want something a little ritzier, try the Le Meredien. This boutique hotel is on the National Register of Historic Places, made from the old Federal Courthouse, with the only Four Diamond designation downtown. The Tampa Waterside Hotel and Marina sits, as the name might imply, right on the water and has easy access to the streetcar and Amelie Arena. Any of these hotels will get you those sweet, sweet Marriott Bonvoy points. Tampa’s coffee culture is strong for a warm-weather city, and stop into any of Blind Tiger Cafe’s locations and you’ll serve the dual mission of getting your morning jolt and picking up some unique local souvenirs. Buddy Brew is another popular coffee shop though the chocolate chip cookies might be the real star. 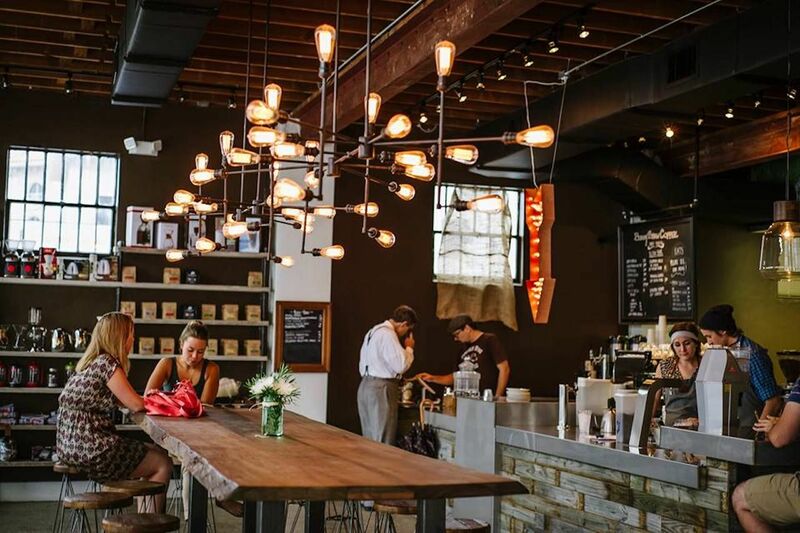 Foundation Coffee also has locations in Tampa Heights, Riverview, and Sparkman’s Wharf. Though it doesn’t fit your conventional mould of a corporate lunch spot, Oxford Exchange sits in a refurbished 1890s building filled with white brick and restored wood. The food is light, long on salads and flatbreads using local ingredients, and if the weather’s nice you can conduct your business in the outdoor tea garden. You might also check out On Swann in the fashionable Hyde Park neighborhood, where you’ll find yourself dining among lawyers, tech entrepreneurs, and other young professionals. Assuming you’re not visiting in the blazing heat of summer, or at least are dressed for the occasion, grab some cool, refreshing adult beverages at Remedy along the Downtown Tampa Riverwalk. Here you can enjoy calming views of the Hillsborough River and the west shore while sipping on stuff like watermelon-lime Margaritas and the Rum Baba, made with Caribbean rum, Velvet Falernum, lime, and pineapple. If you’d rather enjoy cocktails in ice cold AC, go to The Collection, the cocktail bar at the Hall on Franklin food hall. It’s separated from the larger eating space with a designated seating area, perfect for chatting business over martinis. 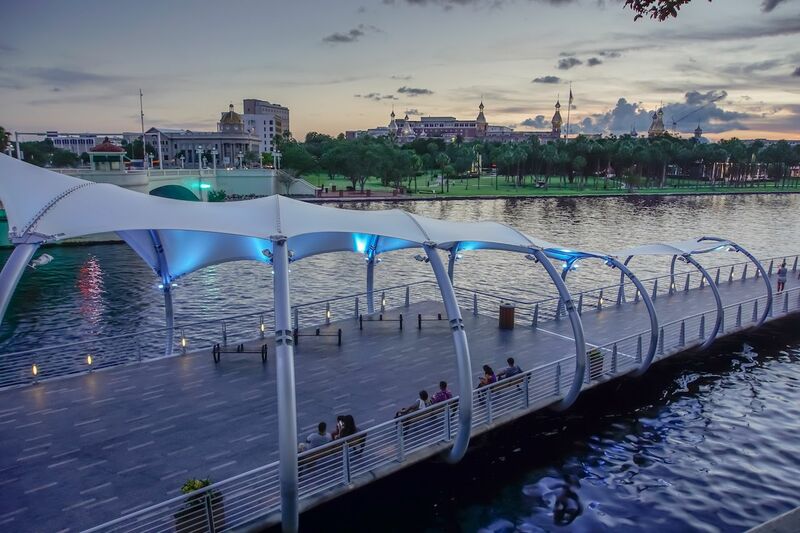 Take a stroll along Tampa’s three-mile Riverwalk, which runs along the Hillsborough River next to downtown. Though it’s in the middle of a busy urban area, Riverwalk is a calming waterside path where you’ll see crew teams from University of Tampa and other national universities rowing in perfect cadence, and pass by a number of city parks along the way. If you’re doing business in the Westshore area, head to Cypress Point Park, one of the city’s hidden gems with beaches right on the bay. If you don’t mind the occasional Airbus skimming your head it’s a peaceful spot with few people and lots of nature, with views over Tampa Bay and the causeways to St. Petersburg. The city’s best happy hour is at Haven, an offshoot of the iconic Bern’s Steakhouse that serves charcuterie plates and over 600 whiskeys. You’ll find $5 wines by the glass, $4 cocktails, and $3 beers, so even if you’re on an expense account your company comptroller will thank you. Bern’s is the classic, obvious choice for a meal with clients, one of America’s legendary steakhouses with five million bottles of wine and a salad included with your steak. If you want something a little less staid, try Oak & Ola. It’s the sit-down restaurant at the Armature Works food hall from James Beard Award-winner Anne Kearney, with an inventive menu of her twists on European classics, set right on the river. If that menu’s not speaking to you, you’ll also find Steelbach, a restaurant that sources many ingredients from its own farm. It’s also set in Armature Works — a restored brick warehouse turned food hall — and specializes in Southern Food and steaks. We know what you’re thinking. Tampa. After dinner on a business trip. Only one place to go… Ciro’s! No? 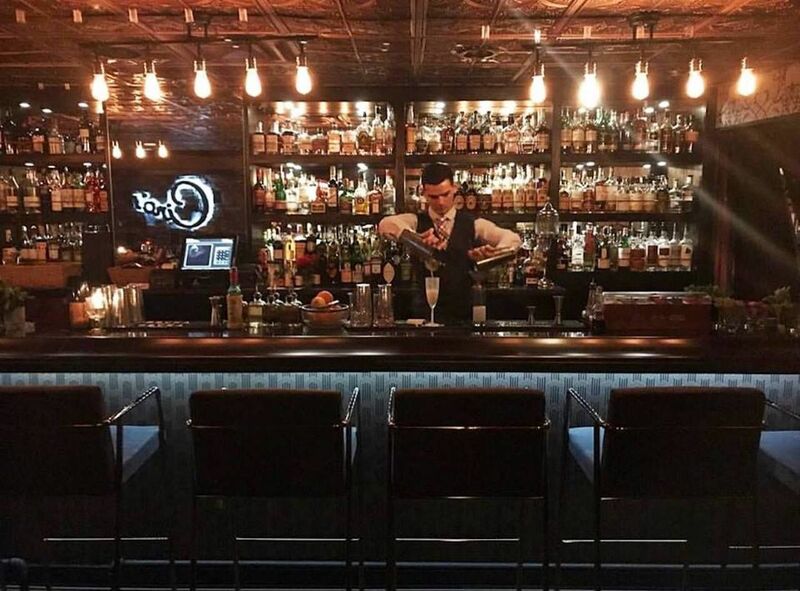 Well you should give it a shot anyway, as this cool speakeasy in South Tampa’s historic Bayshore Building sits behind an intimidating wooden door that you’ll need a password to get through. The password’s easily obtained with a reservation, and once inside you’ll find a dim, relaxing ambience where vested bartenders shake classic cocktails under ornate ceilings that look straight out of pre-Depression America. You can also venture out into the Seminole Heights neighborhood, generally considered Tampa’s hotbed of new restaurants and cocktail bars. Mandarin Heights is the go-to here, where the city’s most inventive mixologists have a rotating menu of drinks set among local art and palm-tree wallpaper. 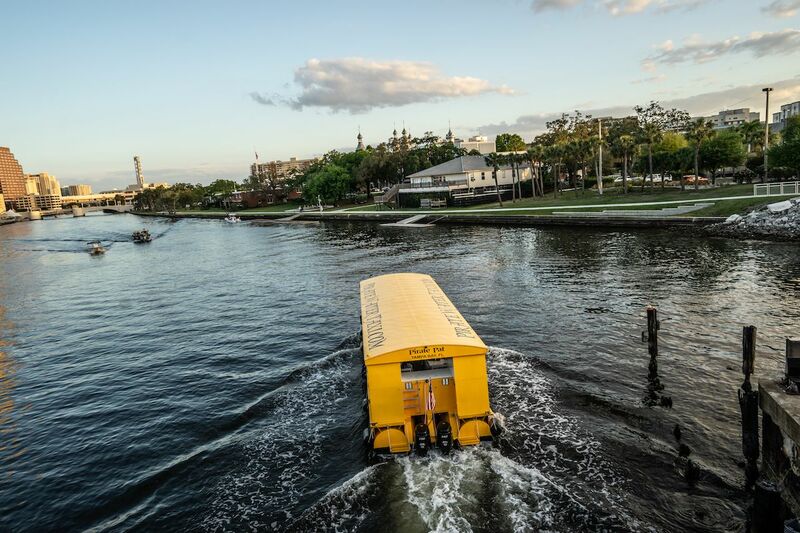 The best way to see the best of Tampa is by getting out on the city’s water taxis. For a pretty reasonable $20 you can spend the entire day on a Pirate Water Taxi, cruising up the Hillsborough River past the University of Tampa and its iconic minarets, up to Rick’s on the River. Enjoy a drink or five with local boaters before heading back on the taxi past the Straz Performing Arts Center, the Amelie Arena, and the towers of downtown Tampa. Though Tampa proper has some fantastic natural options, you’d be remiss if you didn’t get some serious beach time in across the causeway in St. Petersburg. 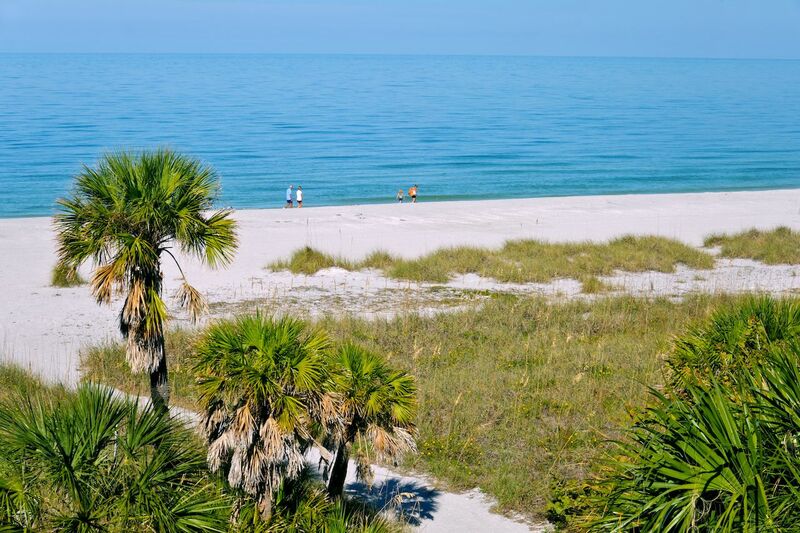 The best beach for pure relaxation is at Fort DeSoto Park, where you’ll have pristine white sands and calm turquoise waters mostly to yourself. Plus biking and hiking trails that take you through thick Florida wilderness. After you’ve gotten your fill of the sand, head up the coast to St. Pete Beach and cruise bars right on the sand like Undertow Beach Bar, where you can watch the sunset, beer in hand, and completely forget you came here for work. Or head a little further north into Clearwater, home of the Clearwater Marine Aquarium and Winter the Dolphin from the Dolphin Tale movies. 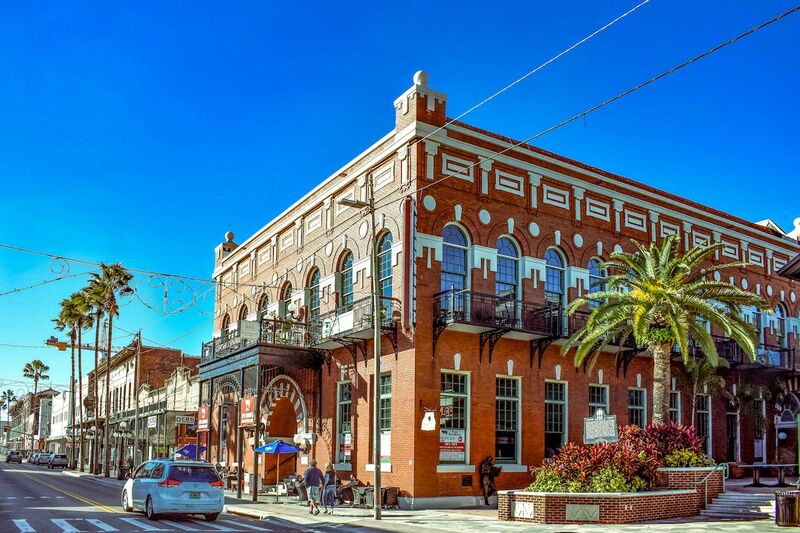 Ybor City might be the most unique neighborhood in Florida, a collection of old cigar factories and French architecture that feels a little like a brick-lined Bourbon Street. 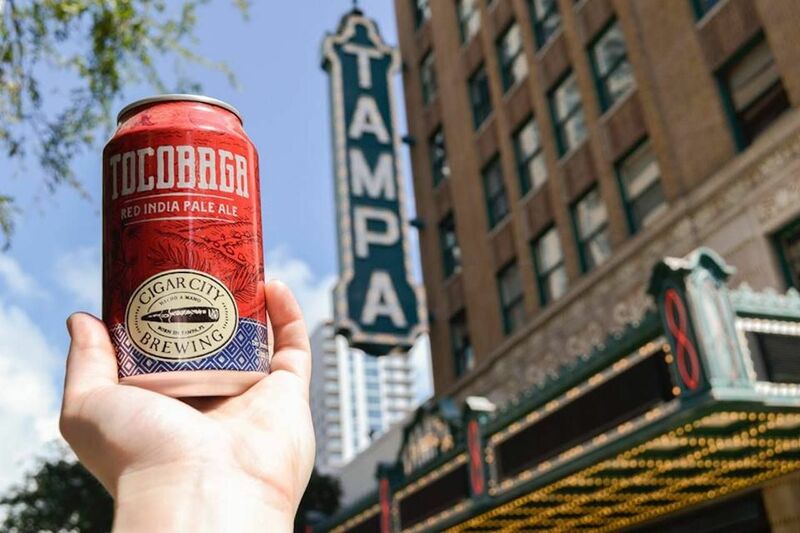 It’s home to three breweries, including the massive Coppertail, Zydeco Brew Works with its balcony overlooking 7th Avenue, and Tampa Bay Brewing with a courtyard in Centro Ybor. You’ll also find Cigar City’s Cider and Meadery, the legendary Columbia Restaurant, and no shortage of cigar stores rolling fresh stogies. By day you can stroll the streets with a cigar sampling cocktails along the main drag. By night hit one of Ybor’s many bars or live music venues like The Ritz and CrowBar. It’s easily accessible from downtown, too, with a streetcar running between the two neighborhoods taking maybe 20 minutes and costing nothing. 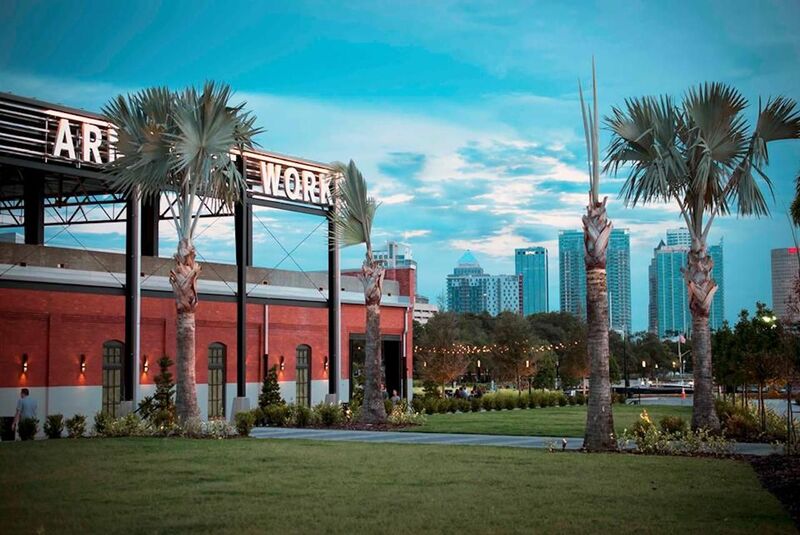 Like seemingly every city, Tampa has a couple of gleaming new food halls at Armature Works and Hall on Franklin. 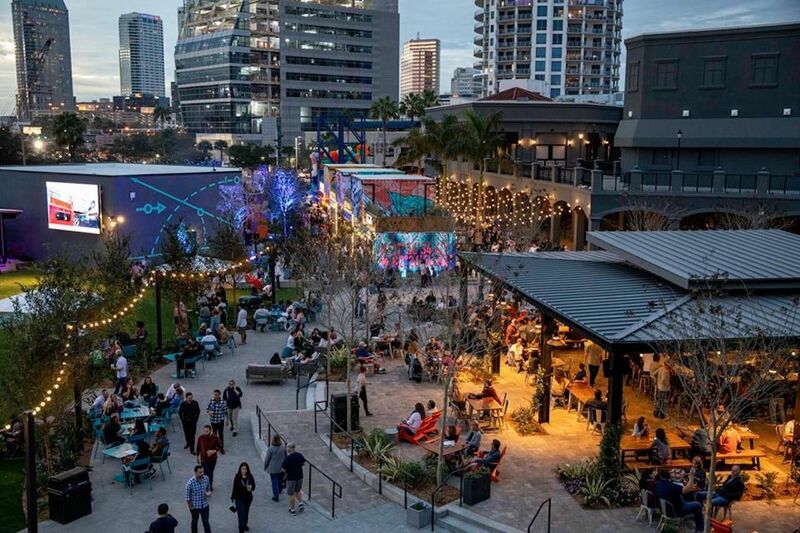 But nowhere in Tampa compares to Sparkman Wharf, a new waterfront collection of brightly painted shipping containers where the city’s best chefs serve up everything from Thai food to vegan dishes to Detroit-style pizza. Grab your meal and enjoy the sunshine in one of its many outdoor tables or under the shelter of the main bar, which serves local beers on draft and ice-cold cocktails. The Wharf is also home to the Splitsville bowling alley, where you’ll find Tampa’s best fried chicken and most eclectic menu of Margaritas. 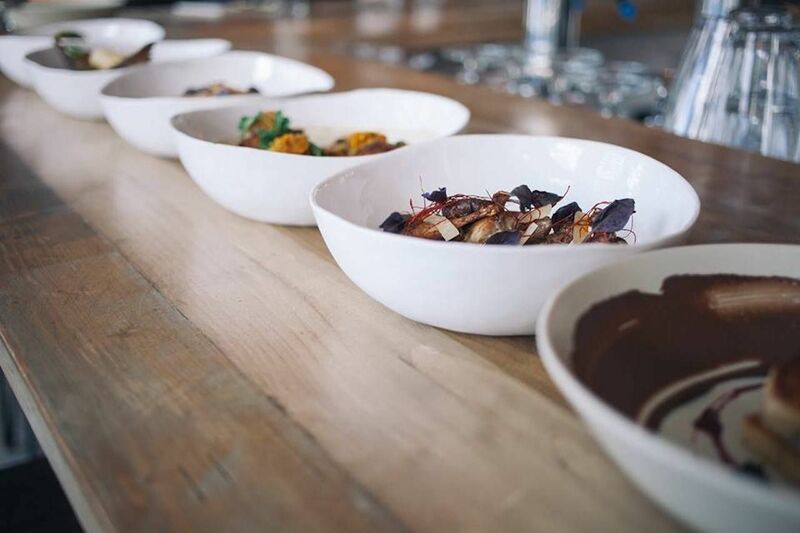 If you’re short on time and simply want the best of the best, have your Uber drop you in Seminole Heights if you’re looking for the city’s best block-for-block restaurant scene. Though it’s not particularly walkable, it’s where you’ll find Rooster and The Till, a boisterous, open-kitchen New American restaurant that’s long on seafood and creative ways to make brussels sprouts. The wait can be long, so grab a seat at the bar where you get a front row seat to your food being made, and the same menu you’d get at one of the surrounding tables. For something a little more worldly, stop into Ichicoro Ramen, which one frequent business traveler told me was the best he’d had outside Japan. And yes, that includes New York City. If noodles aren’t your game, head to the BYOB Yummy House China Bistro, the spot most locals will point to as not only the best Chinese restaurant in the city but also the most fun. Tampa Bay has arguably a bigger and better beer scene than much larger South Florida, and the crown jewel is Cigar City. Its Tampa taproom offers beers all brewed in the city (ones you find in stores are often brewed elsewhere) and is surprisingly small for a brewery its size. Though not known nationally for live music, Ybor City has the densest collection of live venues in the state, where you can catch well known national acts in intimate spaces like Crowbar, The Orpheum, and The Ritz. If you’re down for an adventure, spend a night at The Castle, a club in a church that inspired New York City’s famous Limelight. The crowd can skew a little goth, but catch it on the first Friday of the month and you’ll be there for ‘80s night.